Werner's Cairns blog: Is Australia’s National Government deliberately mendacious or lacking common sense? Is Australia’s National Government deliberately mendacious or lacking common sense? Since the Federal Labor government abolished the effective way the Howard government stopped illegal migrants arriving in our country boats; we have now a tremendous problem on our hands with boatloads arriving constantly and exhausting our capacity to house them and to a tremendous cost to the Australian taxpayer - those people are a burden to our welfare system and financial resources. But the most worrying aspect is that most of those illegal arrivals are Muslims and, we know from experience that those that have settled in Australia and in large sections of western Sydney; don’t integrate into the Australian community and way of life as we know it. The Gillard government is in coalition with the myopic Greens, but is unable to stop the boats. We need a federal election to sort this out. Tony Abbott cannot be blamed for the boat arrivals, Gillard and the Greens are the government and the ball is in their court. We used to be called the “Lucky Country” and Queensland, the “Smart State” but that has changed a long time ago. Our politicians federally and state have stuffed it up. Despite our mineral wealth, the government, state and federal accumulated debts spiraling towards 100 billion. The only people that are well off, with the exception of a few others are our politicians. We are handing out millions of dollars in foreign aid, money that we have to borrow, yet we have people living below the poverty line, some have no place to sleep and many who have been affected by recent floods and cyclones have not their homes repaired because the insurance companies refuse to pay because of a technicality. I believe that charity should start at home and we should look after our people first, especially if the money has to be borrowed. Sadly, we signed “Agenda 21” and we will eventually be controlled by the United Nations, if things go according to plan, a body largely comprising third world countries, and many of them corrupt. The discredited former Premier, Anna Bligh, forced water fluoridation on the Queensland population, without any consultation and we are in fact disposing of China’s toxic waste product from the fertilizer and aluminum industries through our drinking water system. Ironically, China prohibits water fluoridate because of their health reasons. The same politicians stand idly by while foreign countries buy big tracts of our prime agricultural land to produce food for their respective counties. They blindly are giving permits to mining companies to establish seam gas wells on peoples properties and, not only destroying their livelihood, but also poisoning our artesian water so vital to a large section of our meat and food producing farmers. Equally, our governments are allowing foreign mining companies to buy huge areas of prime agricultural land for open cut coal mining, further reducing our capacity to produce food. Please read the poem by Des Hock at the bottom of this posting, aptly named: THE AUSSIE FARMERS WAR. Our inept federal government is now introducing a carbon dioxide tax, but in their promotion they cleverly leave “dioxide” out and most of our pathetic population is not aware that this is actually the air we breathe and is needed by the plants and is not a pollutant. We are constantly told lies and as Hitler once said; if you tell lies often enough people will believe it. The reason why the imposition of the Carbon Tax doesn't work, I’m told is; because carbon emissions will not decrease under a Carbon Tax. Emissions will in fact increase from 2012 to 2020 from 578 to 621 million tonnes (Govt figures). It is a flawed policy reliant on shutting down power stations and buying Carbon credits overseas. Australia emits less than 1.4% of the world's carbon emissions. Yet China opens up more coal-fired power stations every week and, paradoxically, we supply them with coal. Isn’t this a double standard? Common Sense, lived by simple, sound financial policies (don't spend more than you earn) and reliable parenting strategies (adults, not children are in charge). Common Sense, lost ground when parents attacked teachers for doing the job they themselves failed to do in disciplining their unruly children. It declined even further when schools were required to get parental consent to administer Aspirin, sun lotion or a sticky plaster to a student, but could not inform the parents when a student became pregnant and wanted to have an abortion. Common Sense, lost the will to live as the Ten Commandments became contraband; churches became businesses; and criminals received better treatment than their victims. Common Sense took a beating when you couldn't defend yourself from a burglar in your own home and the burglar can sue you for assault. Common Sense, finally gave up the will to live, after a woman failed to realise that a steaming cup of coffee was hot. She spilled a little in her lap, and was promptly awarded a huge settlement. This poem hits the nail on the head as to what is happening in this country and I implore you Aussies to become more vocal, support our farmers and talk to your federal politicians and implore them to use common sense when making decisions. A bitter war is being fought on fertile Australian soil. Against foreign invaders, who intend our farmland to despoil. which do not give a damn about the degradation of the ground. but coal deposits will expire long before this century’s out. instead of driving farmers out, they should be urged to stay. the foreigners are encouraged, the farmland to invade. As Aussies, we rightly expect the government to preserve. This land for our own future use, and not foreigners to serve. they leave a legacy of useless contaminated soil. while all the time knowing full well that’s just dissimulation. but when big foreign money looms, forget that for which they stand. by those who stand to gain thereby, ignoring what they wish not to see. but over food and water as mass starvation takes its toll. being destroyed for short-term gain – no one can understand. How to post a comment, read annotation below. Click on it to enlarge. The sad truth is that you get the government you vote for! We voted in a hung parliament and Julia G has been hamstrung ever since! And she can’t even skite that she is the first elected female Prime Minister, cos she was not elected! 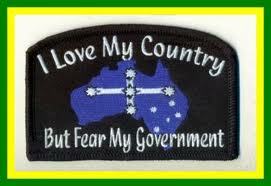 Like most Australians, I shall be glad to see the back of this government! the Oz Govts, like all national govts, world wide are being "setup" as incompetent by the controllers behind the curtain so that they can replace them with their New World Order Global Government ... try the www.Rense.com website search engine for Fabian-Agenda21-Illuminati-New World Order. An interesting posting and spot on. This government is definitely mendacious and lacking common sense; there is no other way to describe this inept lot.